We learn our clients' business and goals, handle every case with the expectation that it will go to trial, and prepare accordingly. Though we pride ourselves on our superior service, our size and structure allow us to provide cost-efficient representation for the management of our clients' disputes and risk. Our clients include large corporations facing numerous disputes throughout the country, as well as small and medium-sized Texas businesses and individuals with regional needs. We represent product and chemical manufacturers and distributors, businesses with commercial litigation needs in a variety of industries, and hospitals and healthcare providers. Each client receives customized legal services tailored to meet its individual needs, protect its interests, and honor its business philosophy. Our Dallas-based firm invests in and employs the professionals, support staff and technology vital to the management of disputes nationwide, ranging in size and subject matter. We work with lawyers, and in courtrooms, all over the country. We staff each case appropriately. We address the client's concerns. We help the client understand risk, manage litigation, and achieve its goals. Our Philosophy: Complex litigation requires a mastery of the law and the industry involved in every case. By understanding both, our firm helps every client achieve its goals. Our business is protecting yours. Jones Carr McGoldrick, L.L.P. will represent your Personal Injury legal matters. James Mc Goldrick concentrates his practice in complex business and personal tort litigation and product liability defense. He has extensive litigation experience in commercial matters, including contract, business tort, technology, aviation, intellectual property and deceptive trade practice claims, as well as significant expertise in products liability and toxic tort litigation in jurisdictions spanning the country. He serves as lead national trial counsel for a chemical handling, recycling and re-refining company in products liability and toxic tort cases. He also defends select medical malpractice claims against hospital systems, physicians, nurses, and other health care providers in cases involving catastrophic injuries and death. Mr. Mc Goldrick aggressively pursues and prepares each case for trial from the outset in order to achieve the best end-result for his clients, whether through trial, settlement or other creative means. He has tried numerous cases in Texas state and federal courts, including a breach of contract/fraud case for a plaintiff-client which he successfully worked up as lead associate and tried to verdict with lead partners resulting in the largest verdict in Hunt County, Texas history and one of America's Top 100 Verdicts in 2001. -Member of trial team that obtained the largest verdict in Hunt County, Texas history, and made America's Top 100 Verdicts in 2001. -Represented national and international defendants and plaintiffs in complex, commercial litigation matters. -Represented national and international defendants and plaintiffs in all forms of personal injury, product liability, toxic tort, industrial accident, environmental and general negligence litigation. -Represented one of the nation's largest ready-mix concrete companies and pre-eminent building materials companies in suits ranging from vehicular accidents to construction site accidents. Mr. Wood practices primarily in the area of toxic tort and product liability defense, medical malpractice defense, regulatory and administrative law in connection with state licensing board/regulatory proceedings for nurses and physicians, commercial litigation and premises liability. Mr. Wood both leads and actively participates in all aspects of representative client services for individuals and entities, including forming and implementing litigation strategy and tactical procedures, legal research, motion practice, hearing advocacy, settlement negotiations and mediation, trial preparation and attendance and appellate matters. Mr. Wood serves as national trial counsel on behalf of a chemical handling, recycling and re-refining company in several products liability and toxic tort cases filed across the country in both state and federal courts. Additionally, Mr. Wood counsels health care institutions and providers in situations involving federal privacy regulations, corporate document retention, human resources, pharmaceutical and equipment contracts, advanced directives, hospital security, plant operations, patient/employee/visitor safety, and new clinical technologies. Mr. Wood also represents health care providers in state board licensing body proceedings and health care facilities in connection with state regulatory matters. 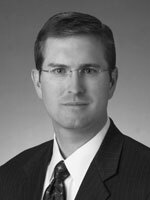 Mr. Wood joined Jones Mc Goldrick in February 2001, having first practiced insurance defense litigation, including defense of personal injury suits and direct suits against insurance companies under the Texas Deceptive Trade Practices Act and Texas Insurance Code. -Prevailed in a medical malpractice jury trial on behalf of a hospital in alleged wrongful death case involving alleged improper replacement of dislodged feeding tube in a 24-year-old mentally retarded patient who later died from peritonitis. Plaintiffs' counsel sought jury award of $30 million, including punitive damages. Defense verdict was unanimous. -Defended hospital in jury trial to a plaintiff's verdict below pretrial high-low settlement agreement, which followed the post-operative death of a knee replacement patient allegedly resulting from hospital's failure to follow written order of physician for pulse oximetry monitoring. Pretrial settlement demand was several times the size of the actual verdict, and one individual healthcare provider defendant was found not to have committed negligence. -Prevailed on behalf of hospital in a jury trial, premises liability case involving injury to a visitor at the facility. -Prevailed on behalf of a Defendant involved in a motorist accident in East Texas. -Defended trucking company and driver in personal injury jury trial in East Texas to a plaintiff's verdict of less than one-fourth of the amount of damages requested at trial and less than one-half of Plaintiff's pretrial demand. -Defended motorist in property damage case occurring at the State Fair of Texas in jury trial to a plaintiffs' verdict of less than one-half of the pretrial demand. -Prevailed on behalf of North Texas business owner in jury trial of premises liability case wherein Plaintiff alleged on-site injury resulted in total disability. -Handled successful appeals as lead appellate counsel in multiple medical malpractice and premises liability cases. -Defended several motorists and premises owners in small claims and justice court jury trials. -Satisfactorily obtained resolution by settlement of more than 75 cases. -Satisfactorily represented physicians and registered nurses in Texas board proceedings. Wes Alost specializes in the defense of toxic tort, premises liability and products liability claims before state and federal courts throughout the country. He is part of a trial team that aggressively and efficiently prepares each case, always mindful of the client's goals and bottom line. He has represented both large and small corporations in claims involving industrial minerals and chemicals, welding consumables, electrical components, elevators, escalators, and moving walks. Frequently, such claims involved allegations of catastrophic personal injury or death. Mr. Alost has also represented various contractors in the prosecution and defense of construction claims, including suits and claims based upon breach of contract and construction delays. His broad experience also includes commercial litigation, professional liability actions, personal and commercial auto liability litigation, and maritime law. 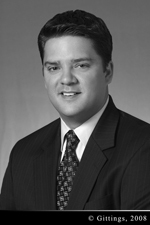 Mr. Alost joined Jones Carr Mc Goldrick in August 2007. -Defended industrial minerals producer in hundreds of toxic tort suits involving personal injury and wrongful death claims. -Defended premises owner in wrongful death and personal injury toxic tort suits, including claims for neurological injury and death from welding fume exposure. -Represented process piping fabricator in multi-jurisdictional litigation against natural gas compression plant owner and general contractor, asserting breach of contract claims in excess of $1.5 million. -Defended several independent insurance agencies from third-party claims under professional liability policies. -Represented elevator manufacturing and servicing company, both in defense of scores of personal injury and wrongful death claims, as well as in the prosecution of numerous construction and service contract claims. -Represented publishers' advertising representative in month-long jury trial against magazine publisher and related corporate entities, including preparation of all post-trial motions and successful appellate pleadings. -Obtained jury verdict, including attorneys' fees, on behalf of homeowners in breach of warranty and DTPA action against door and casement window manufacturer, including preparation of all post-trial motions and successful appellate pleadings. -Defended electrical component manufacturer in both premises and products liability claims involving personal injury, wrongful death, and property damage allegations. -Represented association of businesses in the hospitality industry in defeating attempt by the Regional Transit Authority to impose sales and use tax on hotel occupancy in the New Orleans region, including preparation of successful appellate pleadings. -Defended owner of tanker truck struck by commercial freight train in Webster Parish, Louisiana in personal injury suit brought by train crew. -Defended numerous personal injury suits, many including catastrophic loss claims, on behalf of commercial and personal auto liability carriers. 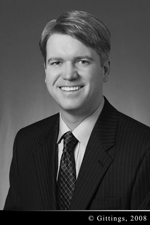 Mr. Carr represents both large and small businesses and individuals in complex business and commercial matters. -Advises clients on business entity selection, formation, and corporate governance. -Prevailed and recovered attorneys' fees in arbitration proceeding involving commercial dispute where the claimant alleged breaches of various contracts, as well as fraud, and sought damages exceeding $7 million. -Successfully tried trademark infringement and breach of contract state court case in which opposing party sought permanent injunction preventing client's use of a service mark and trade name. -Successfully tried state court case involving bad faith retention of a security deposit by a landlord wherein client was awarded actual damages, statutory treble damages, and attorneys' fees. -Obtained multi-million dollar judgment in trial of a bankruptcy adversary proceeding involving officer and director liability and breach of fiduciary duty with regard to the management of a public company. -Represented Swiss bank in arbitration proceeding in which opposing party sought nearly two million dollars in damages but recovered less than $200,000. -Defended contractual arbitration claims to a take nothing award in a seven-day arbitration proceeding when identical claims were the subject of a claimant's award in a previous and nearly identical hearing involving a different law firm. -Conducted case planning, discovery, pretrial briefing, oral argument, and witness and case preparation for successful state court jury trial resulting in over $400 million verdict in fraud, tortious interference with contracts, and prospective business relation and civil conspiracy case. The judgment was later overturned on appeal. -Participated in three-month Lawyers on Loan program with the Dallas County District Attorney's office, during which picked jury, led case or handled both in ten jury trials. -Defended several state court personal injury jury trials. -Satisfactorily obtained resolution by settlement of numerous (100+) disputes for plaintiffs and defendants. -Handled successful appeals in class action cases and preservation of judgment in bankruptcy adversary proceeding. Amanda Koch maintains a diverse practice of commercial litigation, products liability, toxic tort, and medical malpractice defense in state and federal courts throughout the country. She represents both large and small businesses, as well as individuals, in the defense and prosecution of business tort claims including fraud, breach of contract, breach of warranty, Texas Deceptive Trade Practices, negligence, negligent misrepresentation and conversion. 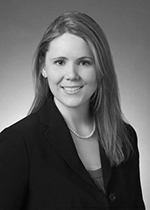 Ms. Koch also represents a chemical and recycling company in products liability and toxic tort cases nationwide. Prior to joining Jones Carr Mc Goldrick in October 2006, she gained significant experience prosecuting products liability claims against automobile manufacturers, involving airbag deployment, rollovers, seat belts and roof crush. -Obtained summary judgment and recovered attorneys' fees in commercial dispute wherein plaintiff alleged breach of contract and fraud against clients' consulting firm. -Prevailed on behalf of hospital in premises liability jury trial involving injury to a visitor at the facility. -Defended client in arbitration proceeding involving an accounting firm's claim for unpaid fees. -Satisfactorily obtained resolution of breach of contract dispute for international utility pole manufacturer in state court action filed by governmental entity. -Represented healthcare providers in depositions, discovery, and motion practice in medical negligence actions involving serious injury and death. -Skimming the Surface of Safety, 42 Trial 30 (Aug. 2006). -Airline Liability - The Warsaw Convention - Ninth Circuit Rules Passenger's Development of Deep-Vein Thrombosis Is Not an "Accident" Under the Warsaw Convention: Rodriguez v. Ansett Australia Ltd., 70 J. Air L. & Com. 123 (Jan. 2005). 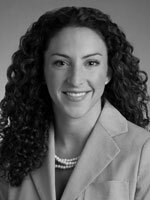 Jill Masso Blanton practices commercial litigation, debt collection, products liability, toxic tort and medical malpractice defense in jurisdictions throughout the country. -Handled pretrial discovery, pleadings, depositions and motion practice for a distributor in solvent litigation nationwide. -Assisted in a variety of civil litigation matters, including business and commercial disputes, business torts, contract disputes and personal injury cases. -Obtained favorable settlement for commercial clients in contract disputes. Miranda Anger Wilson focuses her practice in the areas of commercial litigation, products liability, toxic tort, medical malpractice, and business torts, before state and federal courts throughout the country. Ms. Wilson also crafts solutions for commercial client needs, including the formation of corporate and partnership entities and the protection of intellectual property rights. -Secured dismissal with prejudice of all claims against medical malpractice defendant, including an award of costs of suit. -Handled pretrial discovery, pleadings, depositions and motion practice for well-known defendant in benzene litigation nationwide. -Prepared and filed trademark and copyright applications for clients seeking intellectual property protection. -Assisted in obtaining favorable settlements in toxic tort cases. -Successfully contested customs penalties for clients operating import businesses. -Presented oral arguments to Texas Second Court of Appeals in Fort Worth on behalf of medical malpractice defendant. International Aviation Safety: An Examination of the U.S., EU, and the Developing World, 72 J. Air L. & Com. 141 (Winter 2007). 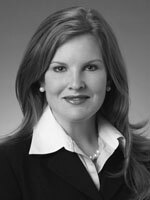 Heather Forgey specializes in the defense of complex toxic tort, products liability, and medical malpractice cases in various jurisdictions, with a focus on Texas and California. 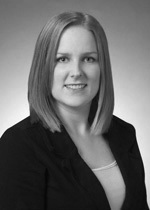 She has also handled a wide range of commercial litigation matters for both plaintiffs and defendants. -Assisted in obtaining multiple summary judgments for various clients through effective cross-examination at deposition, followed by persuasive motion practice and oral argument. -Handled a plaintiff's fraud and breach of contract case involving misrepresentation in the sale of goods. -Obtained favorable settlements for numerous defendants in personal injury cases. Matt Kovacs specializes in the defense of toxic tort personal injury actions and environmental litigation before state, federal and appellate Courts across the United States. Mr. Kovacs primarily focuses his diverse practice on crafting solutions for his clients throughout the State of California. His unique skill set allows Mr. Kovacs to address issues faced by many businesses in navigating complex environmental statutes associated with the industrial use of certain chemicals while also solving problems associated with illnesses derived from chemicals used in the work place. Matt Herzog specializes in commercial litigation, the defense of toxic tort injuries, and medical malpractice litigation in jurisdictions throughout the country. 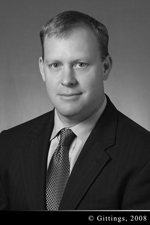 Having substantial experience as a Plaintiffs' attorney, Matt brings a unique and insightful perspective to defending clients in the toxic tort and medical malpractice areas. -Obtained favorable settlements in hundreds of personal injury cases; including motor vehicle, medical malpractice, work-related, and premises liability matters. -Handled pretrial discovery, pleadings, depositions and motion practice for a high-volume personal injury firm. -Tried multiple medical malpractice cases to verdict.